Supernatural (8/7c, The CW): They made it past 13! 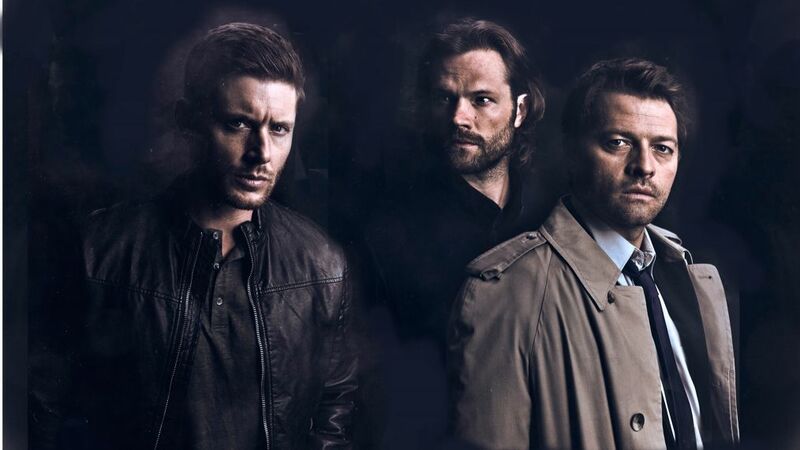 The incredibly long-lived horror hit enters its 14th season with the Winchester brothers once again separated by otherworldly fate. Sam (Jared Padalecki) is desperate to find Dean (Jensen Ackles), whose body has been possessed by powerful archangel Michael. Elsewhere on the angel front, Jack (Alexander Calvert) is adjusting to life as a human after losing his grace. Good thing Castiel (Misha Collins) is still around as a life-beyond coach. All About Tam: Who’s Tam? That would be Sheldon’s (Jim Parsons) childhood BFF—whom we’ve met on Young Sheldon, but who has never been referenced in his adult life on The Big Bang Theory (8/7c, CBS). That’s about to change when adult Tam (Robert Wu) reappears after 20 years, and Leonard (Johnny Galecki) is determined to get to the bottom of the mystery. Followed by Young Sheldon (8:30/7:30), in which the boy genius (Iain Armitage) takes refuge in Tam’s (Ryan Phuong) home after Sheldon gets stressed over keeping his dad’s (Lance Barber) income-tax secret from his mom (Zoe Perry). The show is one of the longest running series on TV. Murphy Brown (9:30/8:30c, CBS): Someone as successful and outspoken as Murphy Brown (Candice Bergen) has trouble ever seeing herself as a victim—but in an episode inspired by the #MeToo movement, a sexual-harassment seminar at work triggers a repressed memory from Murphy’s college days. After some soul-searching with her son, Avery (Jack McDorman), and bartender Phyllis (Tyne Daly), she decides to confront her predatory former professor (Ozark’s Harris Yulin) face to face. Inside Thursday TV: Will the matchmaking pay off? Meredith (Ellen Pompeo) prepares for a blind date on ABC’s Grey’s Anatomy (8/7c), and wouldn’t it be a relief if she found someone outside of the hospital for once? … In another delightfully twisty episode of NBC’s The Good Place (8:30/7:30c), the latest meddling by Michael (Ted Danson) and Janet (D’Arcy Carden) could result in breaking up the group for good. … UnReal’s Emmy-nominated Constance Zimmer guests on CBS’s Mom (9/8c) as Christy’s (Anna Faris) demanding new law professor. … Alec Baldwin returns to NBC’s Will & Grace (9/8c) as Karen’s (Megan Mullally) former lover, Malcolm, who joins the hunt for the soused socialite when she goes missing—a disappearance that could be connected to her husband Stan learning of her affair. (Where she ends up is one of the more egregious product-placements in recent memory.) … Husband-wife renovation experts Ken and Anita Corsini are back for a second season of HGTV’s Flip or Flop Atlanta (9/8c), transforming neglected homes into polished properties worthy of the hot real-estate market. … According to award-winning writer Samin Nosrat, the four basic elements of good cooking are Salt, Fat, Acid, Heat—the name of her acclaimed book and a new four-part culinary series for Netflix. Nosrat travels to Japan, Italy, Mexico’s Yucatan peninsula and her roots in Berkeley, California, for the most flavorful of travelogues.